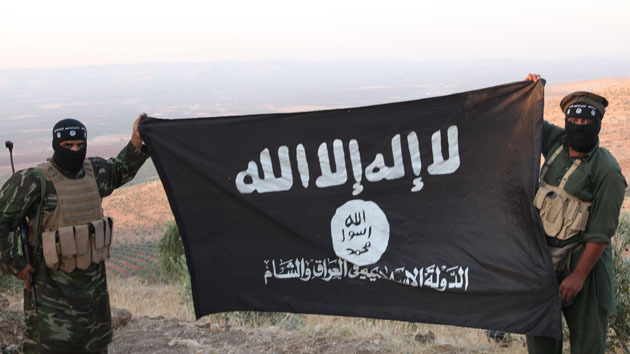 ON December 20, 2014, a huge Islamist-warning flag, re ISIS, waved at this site. It was not for nothing. CONSEQUENTLY, a growing portion of this site’s readership (well into the millions) are aware that Islam – in relation to its underlying poisonous Koranic fruits – is a mainstay at these pages. That’s just the way it has to be. IN the main, the (Dec. 20, 2014) commentary zeroed in on Israel’s encirclement by ISIS, a knock-on effect from PM Netanyahu’s submission to Obama Inc’s dictates to support the “rebels”! Resultant, the attendant and explosive blow back became a front and center focal point. NOW that the Israeli nightmare has sunk in, let’s segue to ISIS and their absolute, concomitant footprints inside America. FOR the record, this grave situation was also a centerpiece at a tag-team interview given at Inquisitr (Sept. 2014), between this investigative journalist and Dave Gaubatz, America’s premiere counter-terrorism expert. Again, it was another warning shot and it ricocheted – at lightening speed – around the net. Its webstats attest to this claim. I will provide my final analysis on this subject: In a very short period of time America will be attacked by ISIS. The attacks will be simultaneously across America and the terrorists know we do not have the leadership in our government to survive such attacks occurring on a regular basis. We will implode. America has only one chance of surviving if these attacks happen. There are over 22 million American veterans living in America. There are several million non-military who will fight for our country and the U.S. Constitution. Americans will never release our right to own guns. 22 million plus veterans and the several millions of other American patriots will fight like no other people have ever fought. They will fight to the end against enemies both outside and from within who seek to destroy America…. ON Dec. 3, 2014, a direct warning was blared to Americans, regarding ISIS and their directives to “sleeper agents” in America. Inherently, countless jihadists are scattered throughout the U.S. Therefore, the commentary focused on their specific target; military personnel – whether active duty or vets – and their families. Unfathomable. Reportedly, as per their wretched course, DHS doesn’t have the soldiers’ backs. Beyond the pale. AND housed within this site’s Nov. 20, 2014 analysis, U.S. military leaders confirmed: Obama is sabotaging the fight against ISIS! How alarming is that? And if this news doesn’t add to the charge, yes, he is aiding and abetting their terror Caliphate, then nothing will suffice! MORE specifically, on Oct. 10, 2014, it was revealed that ISIS is infiltrating through America’s (purposefully) “open sesame” borders -Texas and more! September’s info mirrored more of the same…a short hike from El Paso, Texas evidenced a compelling ISIS threat! YET, let’s dare not forget the burgeoning threats from jihadi compounds throughout the nation. BUT if your heart can withstand it and your head isn’t spinning out of control, please read on: the latest terror warning, relative to ISIS in America! The FBI is warning of a possible ISIS terror plot to blow up the Memphis-Arkansas Bridge after receiving an “anonymous threat,” FOX13 reports. What most are unaware of is that ISIS does have such ability and technology to carry out such a mission with ease as we shall demonstrate from real footage obtained from Middle East sources the ability to create a bomb with strength of a mini nuclear blast. Nearly 60,000 vehicles cross the bridge every day, the station reported. The bridge connects Tennessee and Arkansas. “According to an anonymous complainant, as of December 2014, ISIS instructed an ISIS member, a presumed USPER (U.S. person) in Memphis, with a direct order to blow up the Memphis-Arkansas bridge on an unknown date, activating ISIS terror cells in the United States,” the warning obtained by FOX13 reads. Memphis cops have been patrolling the area looking for unusual activity, the station reported. Surveillance cameras watch over the bridge 24 hours a day. But what they are unaware of is that ISIS can use unconventional moving bombs that cannot be stopped with conventional small arms that police carry. In order to protect such infrastructure the U.S. would have to use serious military force. Shoebat.com has been warning that ISIS will attack the United States. To understand more on ISIS threat for the United States read our ISIS Manifesto which Shoebat.com has been SERIOUSLY WARNING since September of this year that a terror attack by ISIS is imminent and asked all U.S. citizens to file complaint to the FBI to stop social media, especially Youtube from allowing the training videos terrorists post giving ability to manufacture high explosives, rockets and rocket launchers. Youtube refuses to remove such training material which will enable homegrown ISIS terrorists to carry out such missions. It is only a matter of time and they will when it’s too late. Shoebat.com has been reviewing some of ISIS’s abilities in converting trucks into an explosive bomb that would release tremendous destruction equal to a mini nuclear bomb. Here is a video from Middle East sources explaining how it works. The tanker truck is built with a shield of iron all around it with an air gap loaded with sand and metals chards. And with 10 barrels of chemical material which is easily made (no thanks to Youtube) it has an amazing destructive force. Such a moving truck is not easily stopped by using conventional weapons like machine guns or RPG and the only way to stop it is by rocket launched by a jet fighter plane. It is what ISIS is using in Iraq and the Taliban used for maximum destruction. ISIS used this method on Baiji Oil Refinery, Tikrit university, Samira and in the Anbar. Terrorists can even manufacture the explosive material from raw manure which was perfected by Sufi Muslims. Shoebat.com warns farmers or any tanker type truck sales to Muslims and yes, do profile. Its better to be paranoid than sorry. Prior to perfecting the tanker truck similar designs were used which were not as effective as the new model. Just to show the strength of such an operation we obtained some footage from Afghanistan (start at 3:17), notice at 4:23 even the blimp far up in the sky was downed. The Arabic speak of detail explaining the operation before its carried out to deliver the truck and detonate when it hits the mess hall cafeteria where U.S. soldiers gather for breakfast in which in the end they praise Allah for vengeance against the sons of “monkeys and pigs”. The song was for the truck driver titled Fil-Janna Houriyya “in heaven you will have the virgins”. AS always, rest assured, between Obama Inc.’s collusion with Islamists – regardless of this or that terror group’s name – and the submissive media, citizens won’t know what hit them, until it is too late. Mark these words. BESIDES, no well-informed, non-submissive American (westerner) can claim they weren’t warned – they were!! This entry was posted in Uncategorized and tagged Dave Gaubatz, http://joeforamerica.com/2014/12/isis-embedded-america-plotting-major-terror-attack/, http://www.truthandaction.org/obama-sending-humanitarian-aid-isis/2/, Inquisitr, ISIS, ISIS infiltrating America's "open sesame", ISIS terror plot to blow up the Memphis-Arkansas Bridge, ISIS threat, jihadi compounds in America, Obama Inc.'s collusion with Islamists, Obama sabotaging the fight against ISIS, poisonous Koranic fruits, submissive media by Adina Kutnicki. Bookmark the permalink. While we prattle on about bridges and tanker trucks, they’re planning to do what they did at the Breslan school and the school in Pakistan recently. Hundreds of defenseless elementary school children can be killed in a matter of minutes by a handful of jihadis. And will be. Wolff Bachner: We have seen children used as human shields in Gaza and training in the use of weapons and explosives at Hamas summer camps. We have watched videos of 11-year-old boys declaring they want to join ISIS and kill for Islam, and we have even seen images of a Muslim child of seven joyously displaying the head of a decapitated human being while his terrorist father applauds his enthusiasm for Jihad and killing infidels. Why are Islamists willing to use children as human shields and as active participants in terror attacks and warfare? Is there any justification for this truly inhumane behavior in the Qur’ an and / or the Hadiths or is this just, as so many apologists for Islam claim, another example of sick minds who are misrepresenting peaceful Islam? With so many young children being exposed to such extreme hatred and encouraged to participate in Jihad, is there any hope for peace in the world without another devastating World War or a major religious war? David Gaubatz: As we all know children are the future of the world. Sadly most Muslim children are being taught hate and violence from an early age. Most people think Muslim children are only being taught this ideology in Palestine and throughout the Middle East. The vast majority of mosques in America teach hate and violence. There are several references in the Quran that inform Muslims to never take Christians and Jews as protectors and friends. The Sunni manual Tafsir Ibn Kathir is an excellent reference to what children are being taught in Islamic schools. I’ll bet the attacks will be physical attacks with pistols and rifles inside elementary schools. The warning — which they are required to give — is couched within their claim that, “[T]he attacks would not necessarily be physical attacks . . . in U.S. public schools . . . ” Not necessarily? They don’t need to attack our schools with pistols and rifles….just look at what they are teaching our kids and the general curriculum in schools today. And, Michele Obama and her food program, which most kids are dumping in the garbage and then the towns are asked, repeatedly for more school money to “feed the children”. Anyone who has there Children in public school or even Catholic schools today is asking for them to produce these idiots rioting in our streets of the U.S.
Amazing, the people of this Country are just letting it happen. Like a creeping rash, until BOOM they will have taken over our lives. This is what happens when you elect someone like Obama, with their hidden agenda to destroy the Country which made them. AMERICA HAS BECOME THE LAND OF FOOLS. Reblogged this on L'horreur islamique. At this point, and what I see in the future, I cannot wait to leave this earth. I am not suicidal but glad I am OLD. Pingback: Israel's Voice | Obama’s 2010 DEAL With Brotherhood Led To ISIS’s Swathe + Iran’s Triumphs. Disarmed Marines Resulted. Where’s The Linkage? Pingback: Israel's Voice | Boston’s ISIS/Brotherhood Epicenter: Home Front & Mid East Target-Rich, Yet, Growing Exponentially. Why Is This?